HOUSTON (KTRK) -- Houston Community College has a tenant for the former Conn's building on the West Loop. The college on Thursday signed a lease with The Methodist Hospital for the entire 25,000 square foot building. HCC bought the building in 2015 for $8.5 million. It has been vacant since as the community college system has looked for a tenant. Insiders told abc13 several deals were close but none came together before now. Ted Oberg Investigates spoke with critics of the purchase last year who questioned how much the college paid for the vacant appliance store. It's unclear if this deal will satisfy their concerns. The lease is not yet public. The 10 year lease will bring HCC a little more than $472,500 a year, HCC Chancellor Cesar Maldonado said. The college system is also providing 4,000 square feet of the former Conn's to Methodist for free in exchange for learning opportunities, he said. That is less than the assumptions appraisers made as the college was looking in 2014 to buy the property. Maldonado said he was happy with the deal since it will both add dollars to the college system's bottom line and will allow students in HCCs healthcare schools to get access to 100 clinical slots throughout the Methodist system. Those slots will allow HCC students to get on the job training similar to an internship, Maldonado said. The building will be used to expand Methodist's Orthopedic services, Methodist spokeswoman Stefanie Asin said. After a six to ten-month renovation, the building will house expanded Physical Therapy, Clinical and Imaging spaces. "It will give Methodist room to grow," Asin said. HCC will retain ownership of the property. Maldonado says eventually HCC will build out a more traditional college campus on the site. Thursday's lease signing puts that off for at least 10 years. 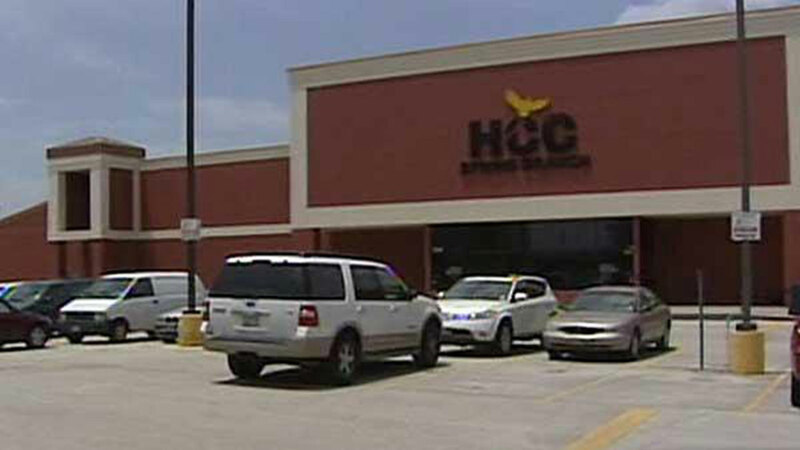 The HCC deal, which used bond dollars in early 2015 to buy the vacant retail building, has been controversial. The price of $8.5 million was based on a lease between HCC and the Silicon Valley electric car company Tesla. See the original abc13 investigation here.